You are here: Home / Edencroft Spirit Specialists / Edencroft New Whisky Releases At Ridiculously Low Prices! Edencroft New Whisky Releases At Ridiculously Low Prices! Summary: Douglas Laing's Single Minded series is a range of Small Batch Single Malts from across a variety of Scotch Whisky regions. Each is bottled exactly the way the distiller intended: without colouring or chill-filtration. This expression, a Dailuaine 7 Years Old, clearly demonstrates its sherry maturation. The nose is warmly spiced with macerated fruit and sweet barleys. The palate is every bit as sweet with citric notes and a sugary, fudgey finish. Nose: Shows it’s sherry cask maturation: being warmly spiced with macerated fruit ahead of it’s generic sweet barley. Palate: Every bit as spiced but now with citric fruit plus a fine quality of chewy malt. Finish: All neatly replicated with its sugary and fudge’y style. 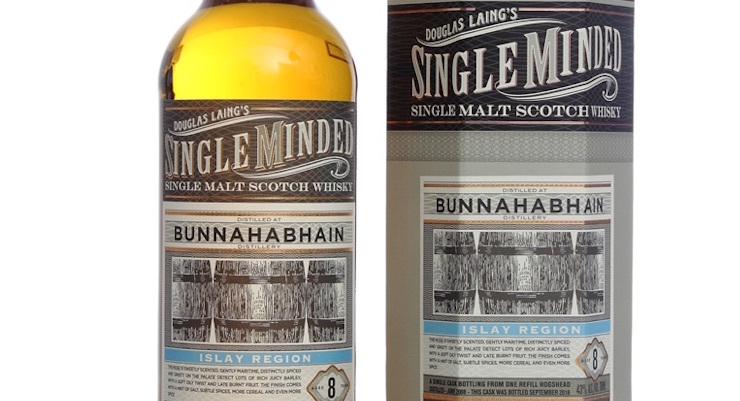 Summary: Douglas Laing's Single Minded series is a range of Small Batch Single Malts from across a variety of Scotch Whisky regions. Each is bottled exactly the way the distiller intended: without colouring or chill-filtration. Nose: Sweetly scented, gently maritime, distinctly spiced and gristy. Palate: Full of rich juicy barley – with a soft oily twist and late burnt fruit. Finish: With a hint of salt, subtle spices, more cereal and more spice. Summary: Douglas Laing's "Old Particular" is a particularly unique series of individually hand-selected aged Single Cask Malts' and Single Cask Single Grains from all over Scotland. Each is bottled exactly the way the Distiller intended: Without colouring, or chill-filtration. The result is as close as some come to experiencing that rarest of pleasures – sampling a dram straight from its cask in the hallowed surroundings of a Distillery warehouse. Nose: Lemon zest, stewed strawberries, fresh fruits, a Malt spice and dark berries. Palate: Custard creams, a milk chocolate mocha served with Ann’s homemade tablet. Finish: Medium-long, warming with Demerara sugar and finishing with beautiful sweet flavour. Cask Type: Matured in a combination of Bourbon barrels and Sherry casks. Summary: Category: Single Malt from Speyside, Scotland. We are delighted to offer the final cases of the Glenfarclas 1986 Refill Sherry Butts V. This release marks the fifth limited edition bottling from the Family Collector Series and the expression represents the 5th generation of the Grant family and current chairman of the distillery, John L S Grant. It is a vatting of specially selected refill Sherry Butts, adding a lighter sherry influence to this unique family collection. The final limited edition release in the Family Collector Series, this 40 year old Speyside Single Malt from Glenfarclas represents the 6th generation of the Grant family, current Sales Director, George S. Grant, as he reaches his own 40th year. Distilled in 1976 and matured in the finest sherry casks, only 1,500 bottles have been produced to bookend the series that began with the 1966 Fino Cask bottling honouring John Grant, who purchased the distillery in 1865.